LOCATION: The Valley City, ND outdoor range is located north and east of the high line railroad bridge on the north side of Valley City. Proceed ¼ mile north of the bridge, cross the RR tracks at the grain elevator and turn east on the gravel road to the range. Please close the cattle gate behind you! RULES: Current NRA, CMP, and NDSSA Rules will govern. NRA membership is not required, but is encouraged. 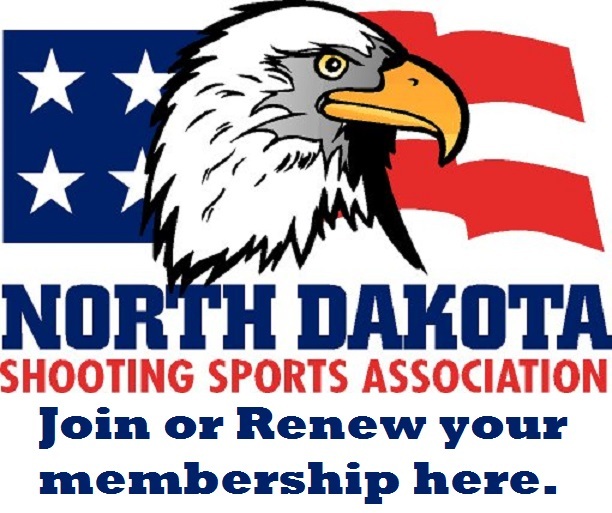 North Dakota residents must be a current NDSSA member. Tournament officials may not compete. RELAYS: Only one relay - Sunday at 9:00AM sharp. RANGE & CAPACITY: The range is equipped with 20 covered firing points and wind tarps for protection if needed. Slow Fire will be at 50 yards on B-6 Targets. Timed and Rapid Fire will be at 25 yards with turning targets on B-8 Targets. Capacity for the tournament will be 20 shooters. ENTRIES CLOSE: 9:00 PM, Thursday, August 24st. MISCELLANEOUS: Advanced entry is requested but not required. All shooters are expected to bring a staple gun and staples. Competitors will score and repair targets. Challenge Fee is $2.00. Use of a plug-type scoring device is restricted to the range officer. A challenge committee will settle challenges. Classes will not be combined. Unclassified shooters will fire in the Master Class. Shooters without an outdoor classification may use their indoor classification. Lunch will be available at the range. North Dakota State Conventional Pistol Outdoor Champion – Traveling Trophy and replica trophy awarded by North Dakota Shooting Sports Association to highest North Dakota resident. Residency determined by North Dakota Shooting Sports Association bylaws.